"There has never been an artist who was more fittingly, and without qualification, described as a genius. Like Shakespeare, Leonardo came from an insignificant background and rose to universal acclaim. 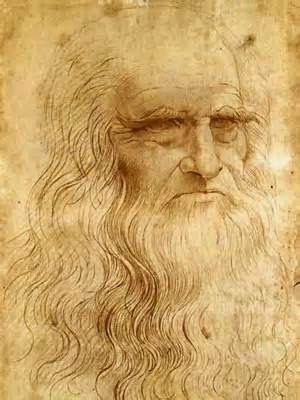 Leonardo was the illegitimate son of a local lawyer in the small town of Vinci in the Tuscan region. His father acknowledged him and paid for his training, but we may wonder whether the strangely self-sufficient tone of Leonardo's mind was not perhaps affected by his early ambiguity of status. The definitive polymath, he had almost too many gifts, including superlative male beauty, a splendid singing voice, magnificent physique, mathematical excellence, scientific daring ... the list is endless. This overabundance of talents caused him to treat his artistry lightly, seldom finishing a picture, and sometimes making rash technical experiments.The Last Supper, in the church of Santa Maria delle Grazie in Milan, for example, has almost vanished, so inadequate were his innovations in fresco preparation. "Yet the works that we have salvaged remain the most dazzlingly poetic pictures ever created. The Mona Lisa has the innocent disadvantage of being too famous. It can only be seen behind thick glass in a heaving crowd of awe-struck sightseers. It has been reproduced in every conceivable medium; it remains intact in its magic, forever defying the human insistence on comprehending. It is a work that we can only gaze at in silence.